While the Ravens certainly did a lot of working while recruiting Jeremy Maclin to join their squad, a pitch from a seafood restaurant may have sweetened the deal. The Baltimore Ravens won the Jeremy Maclin sweepstakes on Monday, as they signed the free agent to a two-year deal to join their receiving corps. 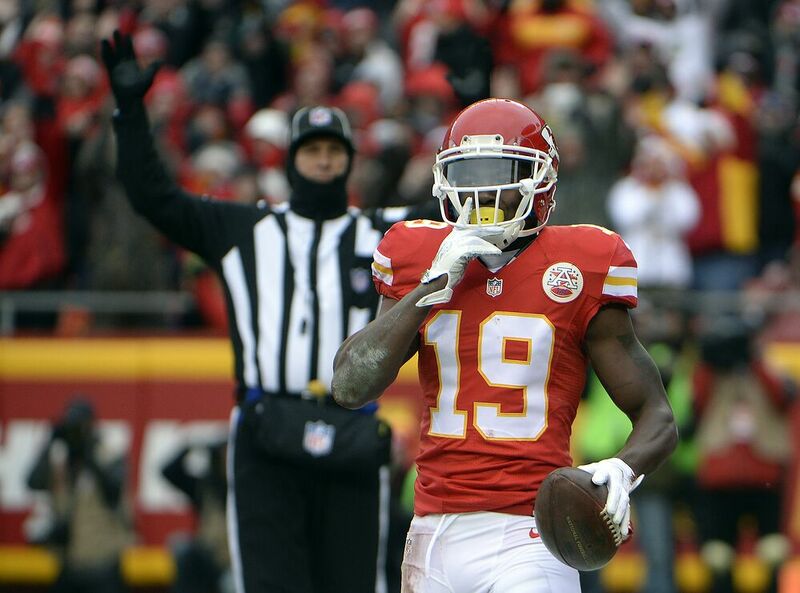 Maclin’s decision had come down to a couple rumored teams, with the Ravens consistent throughout all the whispers as one of the front-runners to sign the former Kansas City Chief. They had been recruiting the receiver since he got let go by the Chiefs, and were getting help from all sorts of directions. While former and current players in Baltimore surely helped bring Maclin to the city, an interesting tactic was used by a local seafood restaurant to “lure” in the free agent. Jimmy’s Seafood in Baltimore had tweeted at Maclin saying they’d offer him free crab cakes for the duration of his contract if he signed with the Ravens. When they got no response, the restaurant decided to up their negotiations, and made it a lifetime deal if Maclin joined the Ravens. Maclin signed with the team four days after the lifetime deal proposal, and took to Twitter to celebrate the occasion. In his second tweet after joining the Ravens, he told Jimmy’s Seafood that he heard their motion, and admitted his love for crab cakes in the process. It’s not as special of an offer when the restaurant has done it before, specifically with Manny Machado of the Baltimore Orioles last year. Either way, it’s a cool, and hilarious, gesture to get some interest from a potential stud for your local team’s offense. Now, obviously Maclin didn’t sign with the Ravens just for some free crab cakes (we think? ), and he surely could’ve used the money from his lucrative contract to buy enough crab cakes for any normal person to eat. All I’m saying is it’s definitely a more enticing offer to join a team when local restaurants are offering to give you some high-quality seafood whenever you want.